Charles Robert Walker, supporter of the York and Ainsty South Hunt, has pleaded guilty to assaulting a hunt saboteur at Beverley Magistrates Court. Walker also pleaded guilty to drink driving, driving without insurance, failing to stop after an accident and failing to stop for police. All the offences occurred at a meet of the York and Ainsty South Fox Hunt at Sandhall, near Goole, East Riding in March this year. It was the hunts final meet of the season and hunt saboteurs from Sheffield and West Yorkshire were present to ensure no foxes were illegally hunted and killed. Drunken hunt supporters abused and assaulted sabs throughout the day, driving aggressively at them and attempting to steal and damage video cameras. 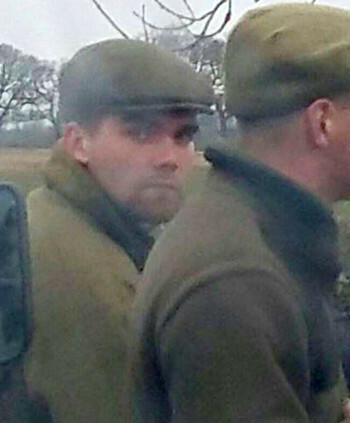 Walker was eventually arrested after overtaking the sab vehicle at high speed on a bend, in front of watching police. Walker received a suspended 16 week prison sentence and has been banned from driving for 2 years. Wildlife Guardian editor: It’s unclear from the above report whether this is the same Charles Robert Walker who was has previously been jailed for assault. If anyone knows, please contact us.